If you’re thinking about selling your home, you should consider tackling some home improvement projects first. Putting a little bit of work into your home could increase the value of it in a big way when preparing to sell. Pristine Inspections and Testing have highlighted a few simple home improvement projects that could really end up paying off. When people pull up in front of your home for the first time, will they be amazed by how wonderful it looks or are they immediately turned off by its appearance? If most people fall into the second category, it’s time to give your curb appeal a boost. One relatively simple way to do it is by updating your landscaping. Rip out any dead trees, plants, and flowers and replace them. Put down a fresh bed of mulch, too, and clear away any leaves, sticks, and other debris that have gathered in your yard. It’ll make your home look dramatically better in no time. Look for cracks, holes, or gaps in the foundation and repair them accordingly which could be considered a serious issue upon inspection. Even though home buyers can easily paint the walls themselves, most of them would prefer not to. Purchasing a “move-in ready” home is priority for a lot of people. 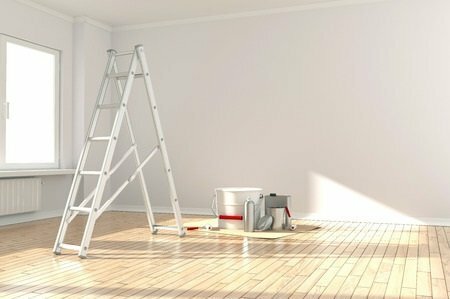 There are a lot of people who will walk out of a home without giving it a chance simply because of the paint colors on the walls. If your paint colors are a little adventurous or are simply starting to fade, this is an inexpensive project that is well worth doing it. By painting your walls neutral colors, you can freshen up various rooms throughout your home and make them more attractive to buyers with minimal effort. If the lighting fixtures in your home haven’t been replaced in a decade, there’s a good chance that they look outdated which can really hinder the overall appearance of your home. From the gold chandelier hanging up over your dining room table to the fluorescent lighting in your kitchen, the overall look of your home would benefit from an upgrade. Putting new lighting fixtures or track lighting into place will make your entire home look more modern. You can purchase lighting fixtures for an affordable price at most home improvement stores, and in most cases, simply swap old fixtures out yourself. Not all homeowners are handy enough to renovate the bathrooms in their homes which is understandable. We wouldn’t suggest messing with plumbing unless you’re 100% confident in your ability to do so. However, if you don’t mind getting your hands dirty, you can take out an old vanity, light fixture, or tile floor. Simple bathroom updates can make that bathroom look brand new again. A half-bath can be a big selling point for a potential buyer but if it looks grungy, it won’t persuade them at all. Add a fresh coat of paint, an updated mirror, and a new tile floor as a “bare minimum” bathroom renovation. You might be surprised at how much it can increase the value of your home or simply someone else’s urge to place an offer. Pristine Inspections & Testing offers quality thorough home inspections, as well as mold and radon testing throughout Champaign, Urbana, Mahomet and most of central Illinois.